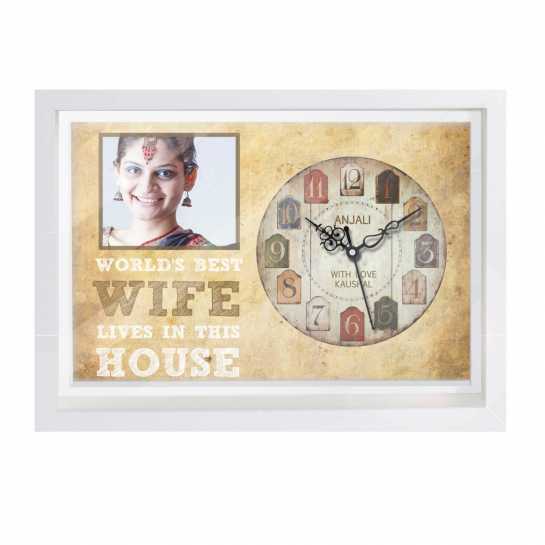 Women love personalized and romantic gifts. What better way to prove that you care and show the efforts made than to buy her a gift that is both stylish and practical. The picture will stand next to the clock with a message written underneath with your signature and message at the center of the clock.